Millions of viewers across the western United States and across the Pacific, to include Australia and New Zealand were treated to a fine Easter weekend lunar eclipse on Saturday. And while this was the third of the ongoing tetrad of four lunar eclipses, it was definitely worth getting up early for and witnessing firsthand. But was it truly total at all? To Recap: The April 4th eclipse featured the shortest advertised duration for totality for the 21st century, clocking in at just four minutes and 43 seconds in length. In fact, you’d have to go all the way back to 1529 to find a shorter span of totality, at one minute and 42 seconds. And you’ll have to wait until September 11th, 2155 to find one that tops it in terms of brevity. We wrote recently about the saros cycle, and how this past weekend’s eclipse was the first in lunar saros series 132 to feature totality. A fascinating discussion as to whether this was a de facto total lunar eclipse has recently sprung up on the message boards and a recent Sky and Telescope article online. It all has to do with how you gauge the shape and size of the Earth’s shadow. This is a surprisingly complex affair, as the Earth’s atmosphere gives the umbra a ragged and indistinct edge. If you’ve ever taken our challenge to determine your longitude using a lunar eclipse — just as mariners such as Christopher Columbus did while at sea — then you know how tough it is to get precise contact timings. There has been an ongoing effort over the years to model the size changes in Earth’s shadow using crater contact times during a lunar eclipse. Many observers have commented in forums and social media that the northern limb of the Moon stayed pretty bright throughout the brief stretch of totality for Saturday’s eclipse. The ‘traditional’ way as used in the Astronomical Almanac is attributed to Chauvenet – where the umbral radius is increased by a simple 2% – with the radius being based on the Earth’s radius at 45 deg latitude (and otherwise the oblateness of the Earth is ignored). For this eclipse the Chauvenet magnitude was 1.005. The most recent approach (Herald & Sinnott JBAA 124-5 pgs 247-253, 2014) is based on the Danjon approach; however it treats the Earth as oblate, allows for the varying inclination of the Earth relative to the Sun during the year, and increases the Earth’s radius by 87km – being the best fit to 22,539 observations made between 1842 and 2011. For this eclipse the magnitude is computed as 1.002. This is a complex question because the shape of the Earth’s umbra upon the Moon is diffuse due to the effects of the Earth’s atmosphere. The various models used (with corrected radii for the Earth) are empirically based on crater timings of past lunar eclipses, of which there is some uncertainty. I’m sure this accounted for the difference between the USNO duration of eclipse and NASA. The comment (in the recent Sky & Telescope post online) by Curt Renz is valid; correcting for the Earth’s flattening (meaning that the Earth’s radius from pole to pole is about a third of a percent shorter than the radius across the equator) might influence whether this very low magnitude eclipse is total or not. I haven’t made the calculation whether the Earth’s flattening tips this eclipse from total to partial, but it’s plausible. There is another wrinkle: due to parallactic shifts of the Moon when observing from either pole of the Earth, it might be that for a lunar eclipse right on the knife edge of total/partial, that it may indeed be total from one polar region and partial from another. This is a kind of libration, but it would be a very subtle difference and probably unobservable. It is only possible to conclusively define Saturday’s eclipse as total or partial if you define a brightness threshold for the Sun’s photosphere illuminating an edge of the Moon. The problem here is that this line is indistinct and fuzzy. I watched the lunar eclipse carefully with this question in mind and I could not decide for myself whether this lunar eclipse was total or partial. I think it would require a photometer to make this distinction. Certainly, there’s little record of just how the 102 second long lunar eclipse of 1529 appeared. Ironically, it too was a total eclipse near sunrise as seen from Europe. On the other side of the coin, the deep partial eclipse of August 26th, 1961 just missed totality at 98.6% obscuration… and the two lunar eclipses in 2021 have similar circumstances, with a barely total lunar eclipse just 15 minutes long on May 26th and a 97.4% partial lunar eclipse on November 19th. So maybe we won’t have to wait until 2155 to see another brief lunar eclipse that blurs the lines and refuses to play by the rules. What do you, the readers think? 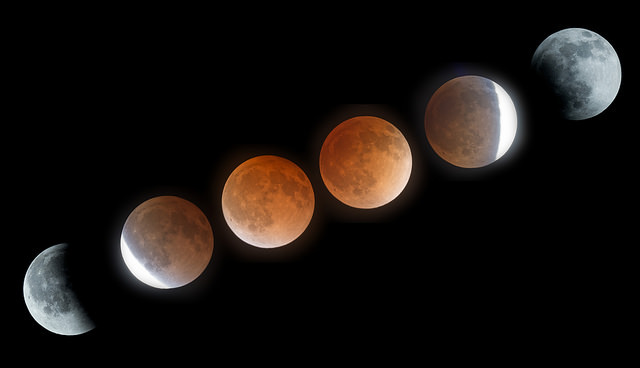 What did you see last Saturday morn, a bright total lunar eclipse, or a deep partial?